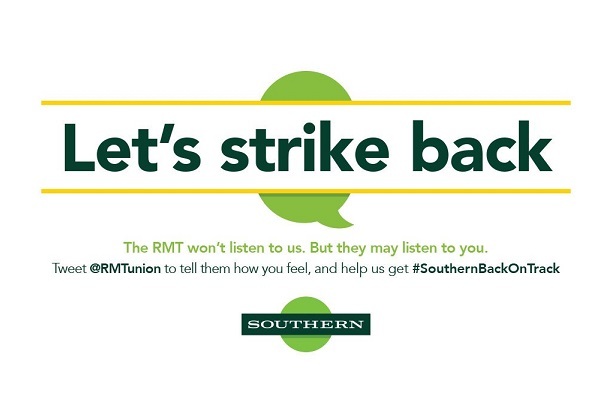 Rail operator Southern's campaign to turn the public against the RMT union's strike action, using full-page newspaper ads and Twitter, was a masterclass in misjudging the public mood. In the latest twist in a lengthy and often bitter struggle, owner Govia Thameslink Rail took out double-page ads in Metro and the Evening Standard under headlines of "Let’s strike back", in which it warned of impending strikes before setting out conditions for employees and telling readers that the RMT "won’t listen to us but they may listen to you". Similar posters were put up on trains and at stations where it operates. It also sent out a tweet inviting its 130,000 followers to tell the union how they felt, using #SouthernBackonTrack. The response was instant, violent and predictable as passengers vented their fury against the company, accusing it of arrogance, incompetence, wasting money and trolling its own staff. "Inflammatory", "tone deaf" and "ill-advised" were among the phrases comms pros used to describe the activity, as they told PRWeek Southern had sacrificed its right to comment and was reaping a whirlwind. 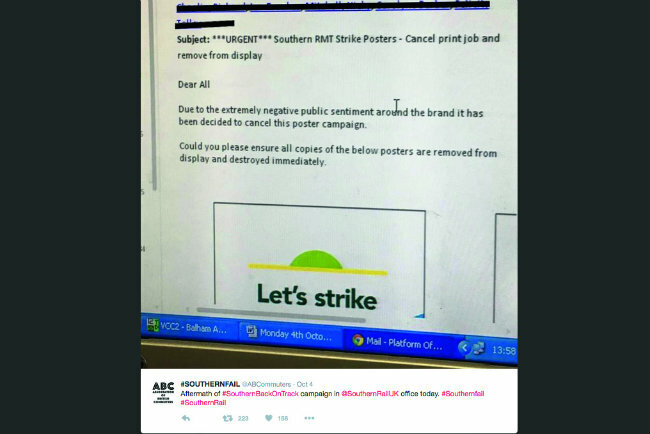 Within 24 hours – having garnered acres of negative coverage and nearly 20,000 disparaging tweets – the campaign was called off and Southern bosses sent an urgent email telling staff to destroy the posters. Could Southern Rail's union-bashing campaign come off the rails?